TV & Radio host, comedian, screenwriter & producer. Cool, relevant, intelligent with loads of character and versatility. A hugely popular comic back in Russia, one of GQ’s “five new faces of Russian humor”. 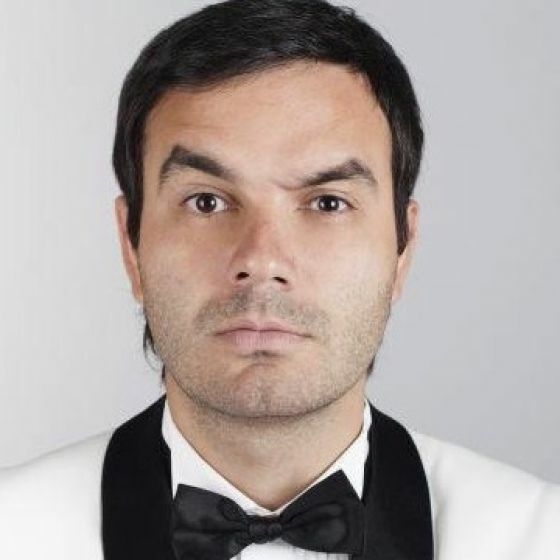 After being spotted by Dylan Moran, Igor has performed regularly around the UK and Europe, and in 2016 performed a full season at the Melbourne International Comedy Festival. In 2014, he made his debut in Edinburgh with Hou I Lernt Inglish, which he brought to the Soho Theatre in London in November 2015. A to Tsar of Russia with Adrian Chiles (Radio, 2018) Himself. BBC Radio 5 Live. Hou I Lernt Inglish (Stand-up, 2015) Himself. Soho Theatre. Hou I Lernt Inglish (Stand-up, 2014) Edinburgh Festival.